Please drop us a line or give us a call to discuss your web presence needs. Webtrex is owned and operated by Ann Brown and has been providing web design and maintenance services in the Brampton area since 2002. We specialise in small, information-based websites that help get new entities, small businesses, individuals, artists and community groups online in a cost-effective manner. Ann graduated in 2002 from the Internet Management Certificate program through Humber College and has been engaged in the business since that time. Please give me a call or drop me a line. We can get together and have a coffee to discuss your web site needs. Ann Brown has all the technical ability of a top-flight professional in her field. Websites can be made. Websites can be good. Websites can be bad. Ann Brown's websites are exactly what you personally, individually, want. Ann wants what you want. Ann delivers exactly what you want. The creative advice is there for the asking, Ann makes your vision come alive. Ann is tireless in her efforts. I own and operate a private school in Brampton and in 2004, I was looking to create a website for our school. I had absolutely no idea what I wanted or what we needed and I basically gave the entire project over to Ann. She was efficient and capable and designed our school’s first website and I was absolutely thrilled with the outcome! She took text from me and basically ran with it! Ann created a website which was easy to navigate for our potential clients and showcased our school’s philosophy. Since that time, Ann has been available to make changes and updates to the site easily and quickly. This past fall, I decided it was time to create a brand new and up-to-date sight for the school. Ann encouraged me to part of the process and despite my lack of knowledge in this area, she walked me through every step of the process. Ann’s creativity, enthusiasm and expertise made the entire experience fun and gratifying. 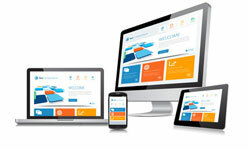 Most importantly, the end result is a website that is dynamic, engaging and effective. As our website drives our advertising, it is essential that it grabs potential clients quickly and holds their interest while they learn more about our school. Ann has created a website for us that I am extremely proud of and pleased to see the interest it is creating in our school. Run your business not your website! We serve clients in Brampton, Mississauga, Caledon, Oakville, Toronto and the GTA and surrounding area. Give us a call at 905-846-3288.